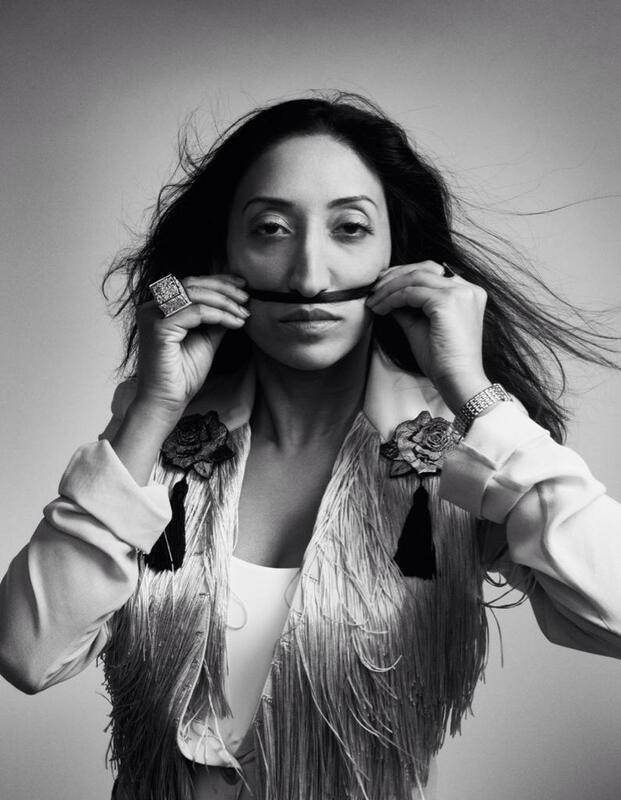 On a cold Sunday afternoon as the “Beast From The East” was moving in to give us the coldest February in 5 years, Shazia Mirza was here with her tales of warm French beaches, hot Indian tours and dodging sand-flies on Channel 4’s Celebrity Island. 5:30pm is an odd time for comedy sandwiched in between a children’s show and an evening show at The Stand, it felt more like Edinburgh Fringe. Indeed the audience and their reaction had that feel too. There was no support so it was straight into business. 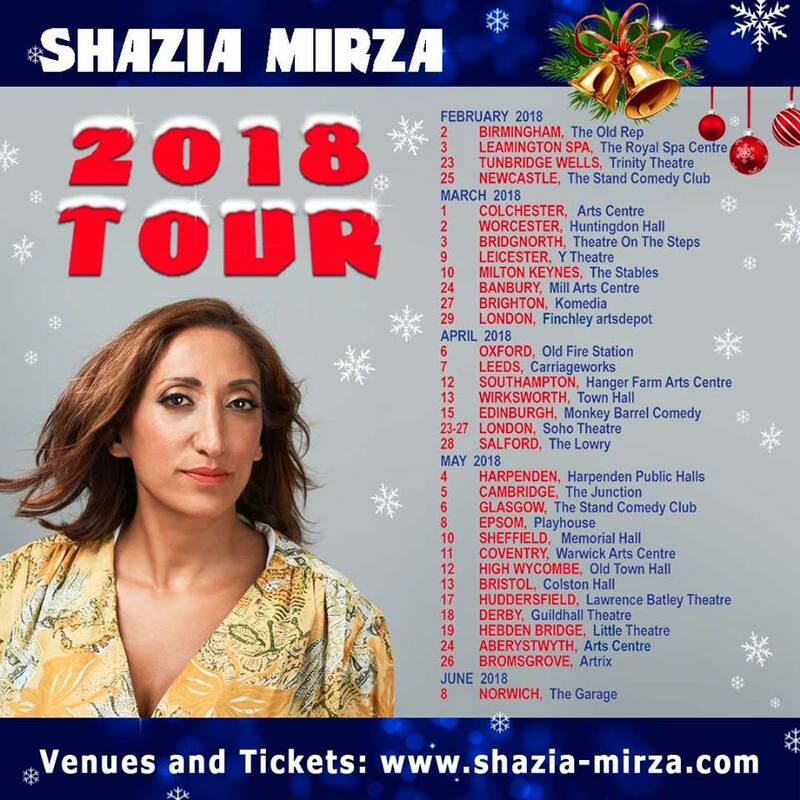 Opening the show is a montage of clips of Shazia, President Trump on TV and Channel 4’s Fatima Manji reading then news coupled with Kelvin MacKenzie's toxic opinion piece after an atrocity in France. Thus the scene is set as Shazia is not just a comic, she has been labelled female Muslim comic. She show then tries to deconstruct the labels. Shazia doesn’t want to talk on behalf any group of people, rather she is, like anyone else, an opinionated individual. Yes, she has faced racist abuse, but that doesn’t mean that she talks on behalf of Muslims. Indeed, as she eloquently put it, Muslims don’t want her representing them either. The hour-long set took apart the various interactions the former-science teacher from Birmingham has had in the post-Brexit vote world. There is not just the person handling her visa application so she could go to India who wanted to know where she came from before she was born. There’s also a mother who demands to become a grandmother and the alpha males on celebratory TV programmes. She surmises which it is the white male who is now out of fashion and is struggling to come to grips with life in 2018 the most. Shazia tries to tie society to Mendeleev’s Periodic Table. The trouble is, a chemist myself, I found myself thinking “well that one’s out of date – they’ve filled those gaps in now.” But that would of spoilt one of her jokes. Politics and the Table have a number of things in common. The idea that elements on the left and right of the Periodic Table not getting on is common ground for a science teacher, however pointing out the malleable elements in the centre ground was very funny. Shazia has lots of funny ideas. She also has a lot of poignant stories to tell and yes, the Guardian readers that she refers to will learn a new perspective on life. Perhaps the late afternoon start didn’t help, however, I couldn’t help thinking the individual parts could be reorganised into a more coherent order with better use made of the Periodic Table as a unifying principle. Despite the scattering of the stories, the show is funny and entertaining, with Shazia using her dead-pan delivery to great effect.